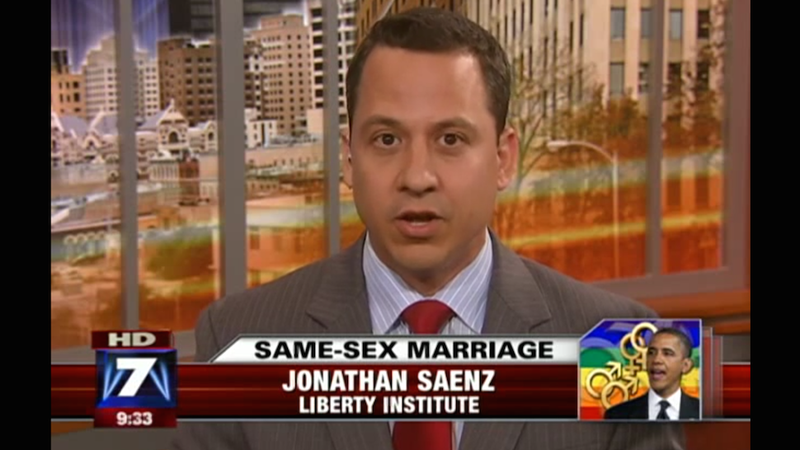 Jonathan Saenz, president of Texas Values, a steadfast anti-LGBT non-profit has been a busy man, endorsing gay conversion therapy and siding against LGBT bullying victims. Recently, court documents have surfaced providing details of a rather acrimonious two-year divorce and the revelation that Saenz's ex-wife is a member of the LGBT community, who left Saenz to be with a woman. Safe to say, he did not take it well. Jonathan Saenz's attorney also issued a subpoena seeking records from the YMCA, including all dates and times when Corrine Saenz and Paredes used the facility, and whether the children were cared for in the ChildWatch program. According to court records, Jonathan Saenz alleged that Corrine Saenz was "deeply involved in her relationship with Ms. Paredes as early as the fall of 2010." In a counterpetition for divorce dated May 7, 2013, Jonathan Saenz accused Corrine Saenz of adultery and sought a permanent order barring Paredes from being in the presence of the children. Saenz's various attempts to bar Paredes were unsuccessful, and there was no mention of her in the divorce paperwork. He and Corrine share joint custody of their children. Texas Values is an organization with some pretty bigoted tenets, like the whole "#1man1woman" thing. And they boast friends like Focus on the Family and Family Research Council. Saenz has been a pretty predictable homophobic mouthpiece, but honestly, I'm more interested in how his kids are doing. That's got to be an endlessly complicated upbringing for those children, bumping around between a lesbian mother and a father who is a walking "Adam and Eve, not Adam and Steve" bumper sticker.